It took just five matches before an associate nation decided that sitting in the shadows was going to be a thing of the past. That team was Ireland, whose emphatic win against the West Indies was a testament to four years of hard work leading up to the World Cup. No longer was such a win an upset, instead the premise of building an organisation that wanted to achieve success. 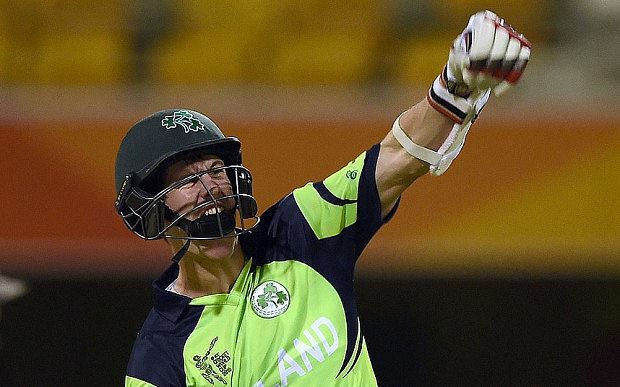 Ireland made the history books well before that though, beating England in 2011 and Pakistan in 2007 – something no-one was expecting at the time. Prior to the commencement of the tournament, the International Cricket Council just about emphatically decided – and, in the case of many fans, done in haste and illogically – that the 2019 World Cup would be contested within ten teams. Right there the concept and understanding of a World Cup goes out the door. Limiting the number of teams that can contest for a global trophy is blasphemy; compared to the FIFA World Cup, where 32 teams compete over a very similar time period, the ICC is terribly mis-managing a competition that everyone flocks too. Just this week, Afghanistan and Scotland played out what can only be described as a pure thriller. Both nations have associate status – which means that they play just a handful of sanctioned ODI matches each year, and almost none against the full members. Shapoor Zadran took four wickets, Samiullah Shenwari scored a magnificent 96, and Scotland had contributors all across the board. What made the game so competitive was the tight bowling from both sides, and when Scotland, having Afghanistan 7/97, had the game in the bag, their opponents battled to the bitter end – and made World Cup history. The notion that associate nations are poor for the game and can’t muster a fight against any opponent has been driven into the dust. International Cricket Council CEO Dave Richardson and his narrow view are potentially costing the associate nations exposure to billions in four years time. According to the 2013-2014 annual report distributed by the ICC, one million people played cricket outside of the 10, full member, test-playing nations. That is a mind-blowing figure, and emphasises the strength of the sport outside of the countries everyone follows. When it comes to finances, Cricket Australia’s revenue (from continuing operations) in 2012 was a staggering $260,803,059 – and that’s just revenue. In 2014 it was approaching $300,000,000. In comparison, Ireland’s aim is €2,500,000 in non-grant revenues for 2015. Discrepancies, sure, but a nation like Ireland is doing so much on so little. James Corrigan, writing for The Telegraph, heavily slammed the ICC’s organisation and reasoning behind having the 2019 World Cup contested between less teams. Amazingly, Scotland actually made New Zealand work for a win. 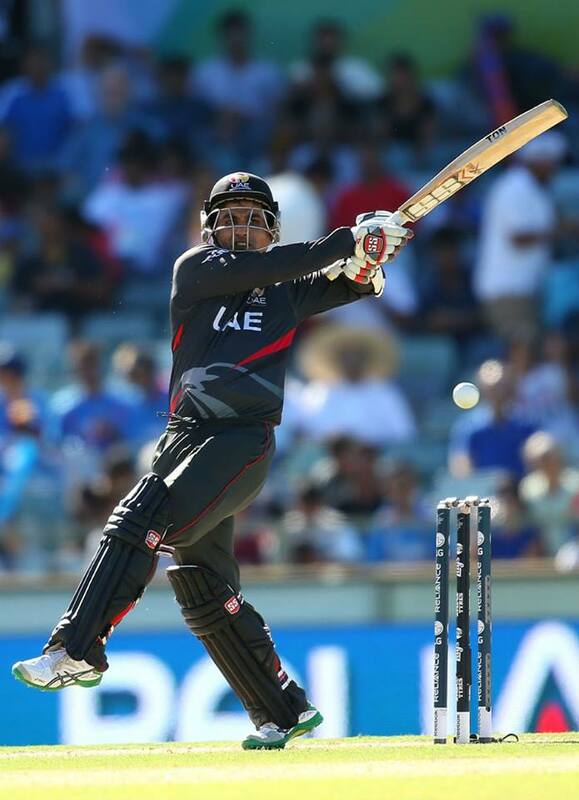 The United Arab Emirates decided going down softly to Zimbabwe wasn’t an option – they ended up scoring a very reasonable 285. Perhaps the difference in money and facilities isn’t the core problem – the perception that associate nations are worse in form and talent than the full-member nations is. Results? Australia blasted England into oblivion on the opening day of the tournament, Pakistan absolutely capitulated against an undulating, wobbly West Indies, and India decided to deal with South Africa the only way they knew how – smashing them. The other side of the table reads very differently; Afghanistan made Sri Lanka work to the end, the Scottish bowlers found their straps and Ireland made sure we were not out of luck with a cracker against the UAE. Power games rule professional sport – but the ICC is letting the current game being ruled by “The Big Three.” Here’s the thing; when a World Cup comes around, countries unite. Players unite. Fans unite. The cricket community unites. Zimbabwe captain Elton Chigumbura says the full members have a crucial role to play to show losing the associates will be detrimental to the tournament in 2019. “It will be sad if the World Cup is reduced but we’ve got the chance maybe to force them to change those decisions if we play well and go to the next stage. If the ICC wants to grow cricket, it should only look at some of the above mentioned statistics. Corrigan refers to a “marketable opposition” – that being the test nations. Monopolising opportunities goes against the grain of the organisation. Doing rid of spots in the World Cup almost makes competitions such as the World Cricket League redundant. The investment into the two-year long qualification process will stop many teams aiming for new heights the opportunity to be recognised and appreciated by a new audience; an audience that loves cricket. It’s not just about more frequent opportunities; it’s about bridging a gap far too long divided, and giving the Associates a chance to shine. The ICC idea of cutting down the 2019 ICC CWC to ten from the current fourteen seems the notion of the super power India and the other two Australia and England but the precious question is that do the ICC realize had the world cricket governing body been spreading the game as it does now? Had it really been, things would surely be different in 2019 CWC like competitors converging from Japan, Saudi Arabia, Brazil and China not to forget more teams would be from Europe- even the likes of Croatia and Ukraine the young nations so to say but fast catching up any sports are looking certainties if we talk cricket should have been replicated long time ago as the FIFA is doing. Yes, money needs to be taped by means of producing quality matches in ICC CWC but not at the cost of pruning the numbers of participants. Now, lets talk of those minnows prowess who remembers Steve Tikolo 96 against Aussie in Visakapatnam and brought the Windies to earth in 96 edition Scots are still holding the wooden spoon in two appearance but at one state in 99 John Blain was the leading wicket taker so was the other John in an Aussie Davison cracking a quick ton against the Caribbean and the qualification of Kenya for a semi-final in 2003 were no fluke but since they were laying bricks every hour as Rome did it, again the emergence of the Republic of Ireland is needless to say as the recent victory against Windies and Zimbabwe they took it as a formality rather than their luck. I say you say and he says the more train the more we could perfect our skill level, the more we play against the better teams the more we improve our game and win but how could we expect from them to be on par with top tier teams without any serious itineraries for associates and the affiliates at least for those sides llike Holland, Ireland, Kenya, Canada, UAE, Namibia and Scotland. The more teams in world cup the more revenue will generate.